The Presidential Commission probing corruption and malpractices in public institutions will commence recording witness statements today (25). Accordingly, the commission will record witness statements pertaining to an incident of misappropriating funds during the purchase of medicinal drugs for the Apeksha Hospital in Maharagama. Witness statements will also be recorded with regard to an irregularity that has allegedly taken place at the Ministry of Economic Development during the import of dairy cows. 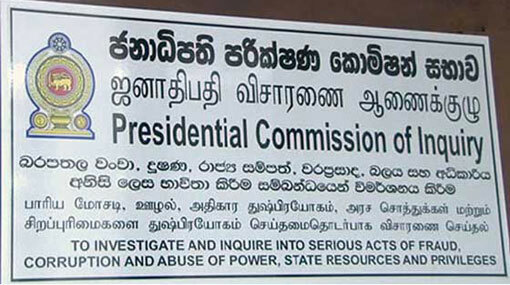 On January 17th, President Maithripala Sirisena appointed a Presidential Commission of Inquiry to investigate into allegations of corruption and malpractices that had taken place from 15th January 2015 to 31st December 2018. Retired Supreme Court Justice Upali Abeyratne was appointed the chairman of this presidential commission of inquiry. The commission had concluded receiving complaints on 19th March and, reportedly, it had received 1142 complaints by then. Forty-eight complaints out of the total have been assigned to the police unit attached to the commission for preliminary investigations. Accordingly, the commission will commence recording witness statements pertaining to these preliminary investigations conducted by its police unit.